A lot of folks think that all Stompin Tom ever wrote was comical songs. Of course, if you're a real Stompin Tom fan, you know different. Tom Conners wrote songs about stories he cam across in his travels. Some where fantastical, but others were based upon facts and Canadian history. 'The Reesor Crossing Tragedy' is just one example of a historic event that found it's way into a Stompin Tom song. There's nothing funny or cute here. This is a hard song about a hard event in Canadian history. In 1963, a group of bushmen got caught up in a local lumber mill strike and three men paid with their lives. 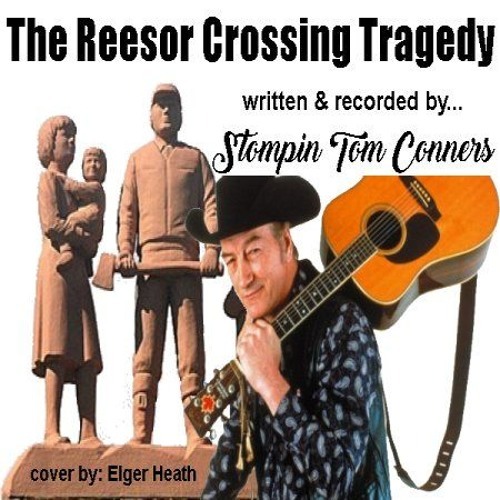 The whole story plays out in Stompin Tom's song, 'The Reesor Crossing Tragedy'. This is a true ballad and not only a story worth hearing but a great song as well. why not listen to this simple cover and learn a little Canadina history while your at it.